Petrol in Delhi now costs Rs 69.07 per litre - the highest this month - up from Rs 68.88 per litre rate of Thursday. Delhi is now priced at Rs 62.81 as compared to Rs 62.53 on Thursday. 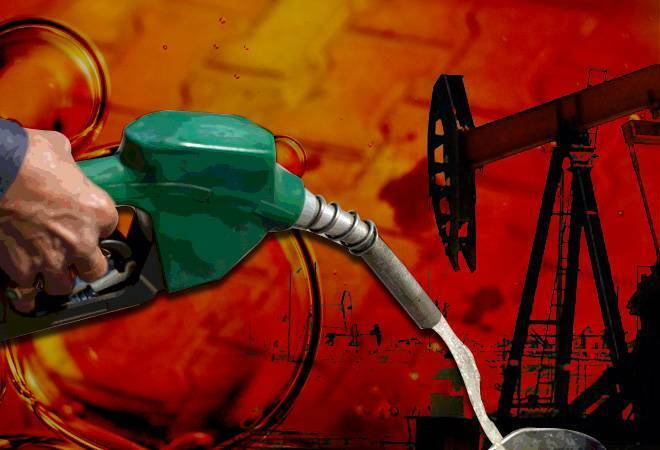 In Mumbai, petrol now costs Rs 74.72 a litre and diesel is priced at Rs 65.73. Rates vary from state to state depending on the rate of local sales tax or VAT. The increase -- third this month -- comes on the back of a 38 paise increase in petrol rates and 29 paise in case of diesel announced on Thursday. On January 7, the petrol price was hiked by 21 paise and diesel by 8 paise. Rates were unchanged on January 8 and 9. In three hikes, petrol price has gone up by a total of 78 paise a litre and diesel by 55 paise, according to the price notification. Prior to these hikes, rates had cooled to a year low of Rs 68.29 for petrol and Rs 62.16 in case of diesel. This followed a decline in rates on almost all days since October 18, 2018. In all, the petrol price has fallen by Rs 14.54 per litre since October 18, more than negating all of the hikes that were witnessed in the two-month period beginning mid-August. Diesel price has declined by? Rs 13.53 per litre in two and a half months. Petrol price had touched a record high of Rs 84 per litre in Delhi and Rs 91.34 in Mumbai on October 4. Diesel on that day had peaked to Rs 75.45 a litre in Delhi and Rs 80.10 in Mumbai. Prices had started to climb from August 16. Petrol in Delhi was priced at Rs 77.14 and in Mumbai at Rs 84.58 per litre on August 15. Diesel on that day was priced at Rs 68.72 per litre in Delhi and Rs 72.96 in Mumbai. Between August 16 and October 4, the petrol price was hiked by Rs 6.86 per litre and diesel by Rs 6.73. Subsequent to this, the petrol price moderated to Rs 81.50 per litre in Delhi and diesel to Rs 72.95 a litre on October 5. In Mumbai, rates fell to Rs 86.97 for petrol and Rs 77.45 in case of diesel. As the international oil prices continued to rise, the prices of petrol and diesel in Delhi increased to Rs 82.83 and Rs 75.69 respectively, on October 17. In Mumbai, rates touched Rs 88.29 a litre for petrol and Rs 79.35 for diesel. But since then, international oil prices have been falling and the rupee has also appreciated, resulting in a decline in retail rates.